Paris - Brazilian football legend Pele will spend one more night in hospital in Paris "as a precaution" after being taken ill earlier this week, his advisor told AFP on Sunday. 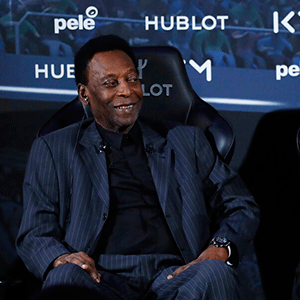 "He will spend the night (Sunday to Monday), we do not want to take risks and we're in no hurry," said the advisor, having on Saturday morning announced that Pele would definitely return Monday to Sao Paulo. "The doctors are making decisions daily and we will take maximum precautions until we leave."